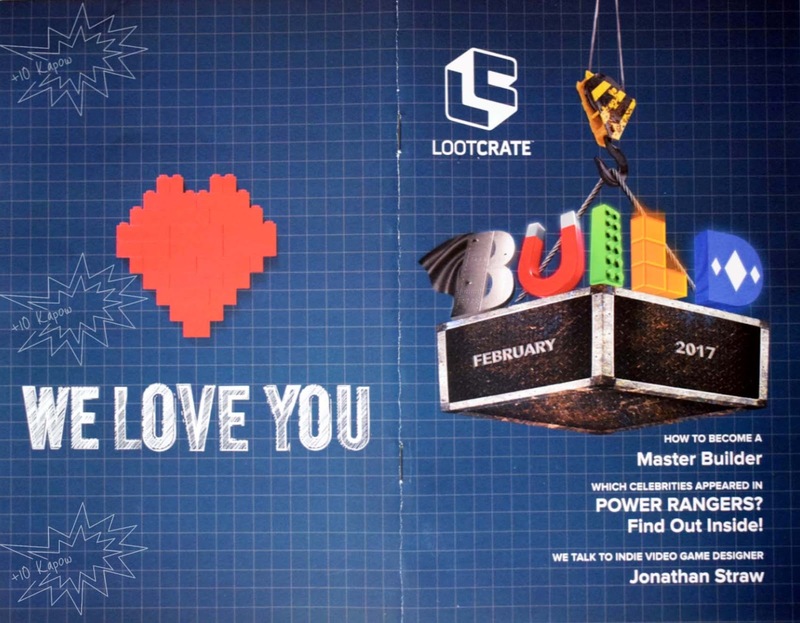 The February theme for Loot Crate was BUILD, and it was another solid month from Loot Crate in my opinion. I kind of love that the magazine includes recipes now, especially when it is desserts, nom. And yes, I am once again posting these quite a bit later than normal because I have been a slacker of a blogger lately and have barely been posting. How do you get motivation back when you have lost it? Forget that anyway, lets get on and have a look at what was in the crate. 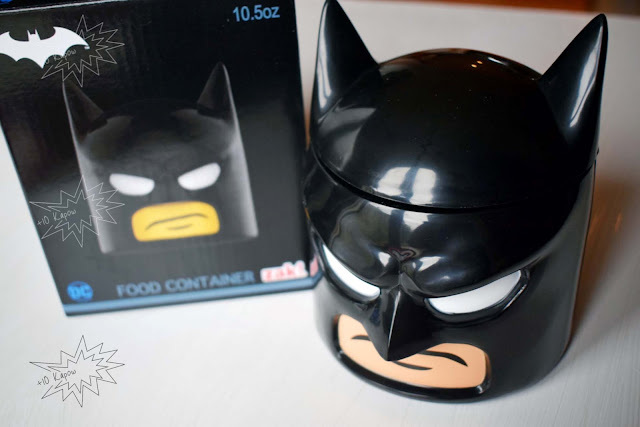 I love this, although I am not using it as a food container, it is currently housing my bobbles and bobby pins. The head can be a little tough to screw on but because I access it so often I only half screw it on anyway. It is made from a pretty sturdy and thick plastic and the storage space is about the size of a mug so may be good to hide away some cookies if I ever want to squirrel them away. Plus, Lego Batman is always a winner. This was a nice surprise item, I would never have expected a video game addition item in Loot Crate. 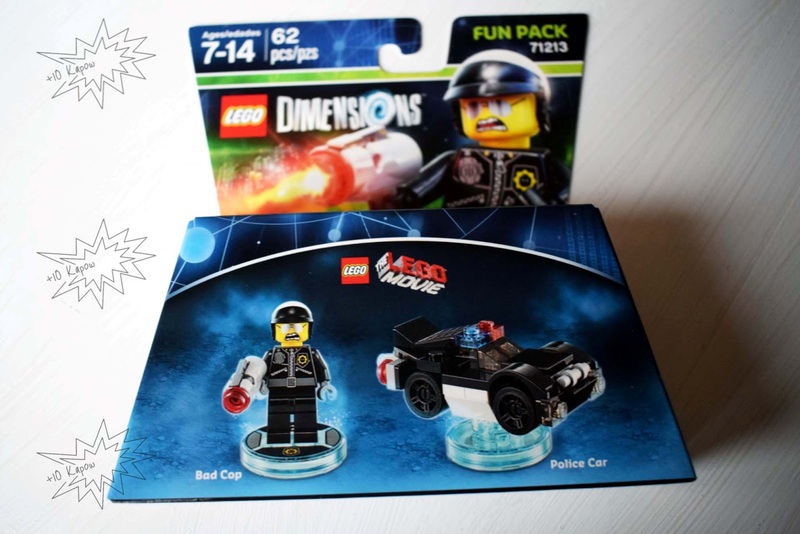 I know fun packs aren't really expensive or anything but it was still a nice to have and even if you don't have the game, they can still go up on your shelves as display or in your LEGO collection. I would have preferred Wonder Woman but even though we both have LEGO Dimensions, this is the item I happily swapped with Kian for the portable charger from his Geek Fuel, and luckily he was happy to do so as well. 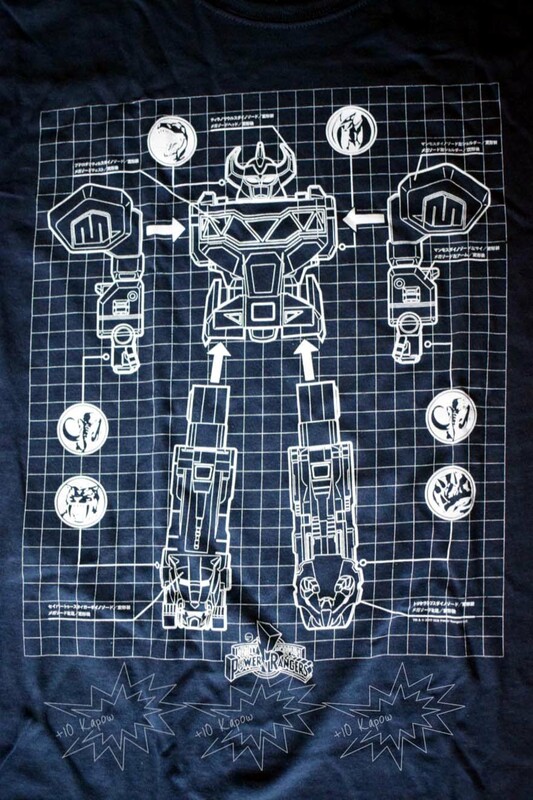 I am of the generation that was the original Mighty Morphin Power Rangers and I absolutely loved the show. We used to watch it, then play it all the time and I still remember one time when we were playing Power Rangers and one of my younger cousins proper headbutted my lip and I had a fat, purple lip for weeks, it hurt so bad but we still went straight back to playing it. My favourite was always the Yellow Ranger Aisha, who was yours? The fit and quality of the t-shirt is spot on and the print is decent too. I'm kind of excited to see the new movie but I have tried watching the other versions of the Power Rangers tv shows and haven't liked them so I don't have much hope but the trailers so far look pretty badass, so we'll see. 'The theme song is already stuck in your head, now these fun, flexible tetrominoes can stick to your fridge (or another magnetic surface). Play, stack and clear your way to a new high score! 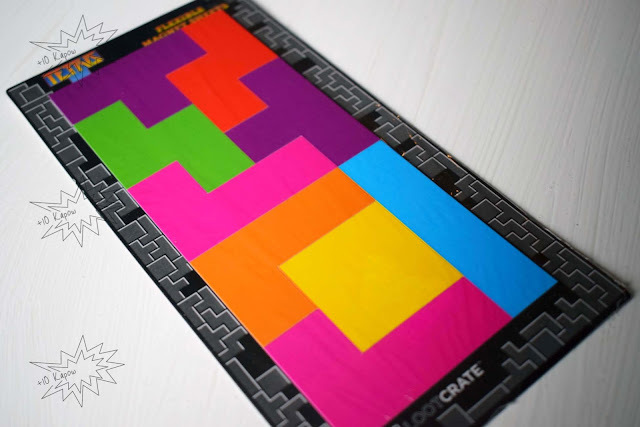 Now, I like these but if I'm honest, they do kind of seem like the sort of thing hanging by the till at any game store for like £2.99 but like I said, I do like them and they have gone on the fridge even if it is in some weird, botched together, grid sort of way! 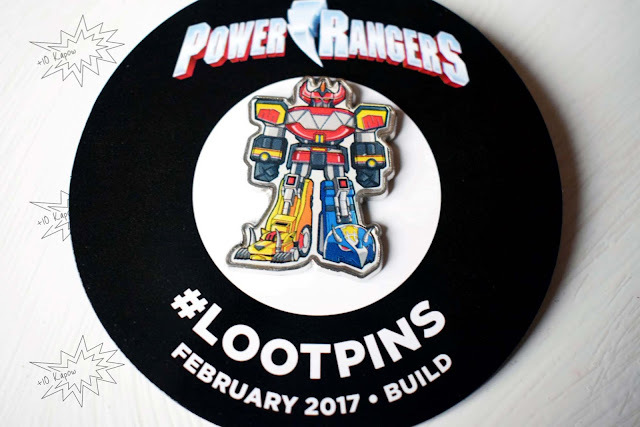 This month's pin is pretty awesome and I am happy to have Megazord on my pin board. Plus, the Loot Pins digital goodies were Might Morphin Power Rangers #0-1 and Mighty Morphin Power Rangers: Pink #1 and I do love me some free, decent comics! 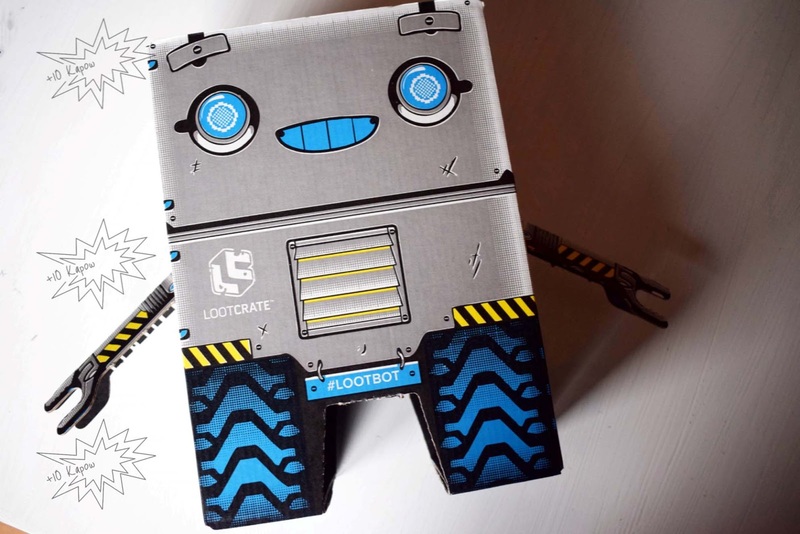 The crate turned into a robot, which doesn't 100% fit together with the theme, I would have liked to have seen like a LEGO print on the inside so that you could fold it inside out and have a storage box that looked like it was built from LEGO. That would have been good! Now this is a pretty cool thing that was included in this month's crate and possibly will be included in future crates. 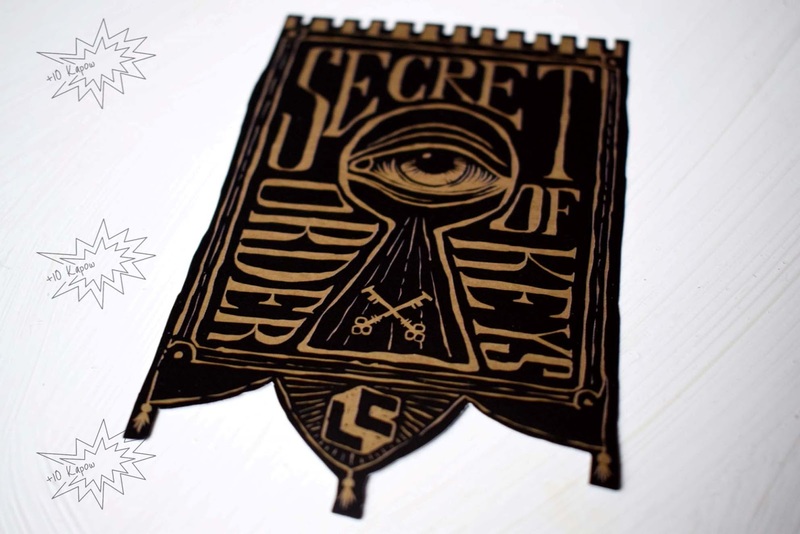 The Secret Order of Keys is just a card with 'Unlock the Mysteries' on the back with a web address. You need to log in to your Loot Crate account and when you go to the web address there are a series of quests that you complete using items in the crate or print offs and if you get them all correct, as far as I know, you get something extra in the next crate. As far as I know anyway! But I think it's a pretty cool idea. Overall, I really enjoyed the BUILD crate and there were some pretty great stuff in there. The LEGO Dimensions was a nice surprise and the Secret Order of the Keys is a good addition. The March crate theme is PRIMAL, and it will have items from X-Men, Overwatch and Predator so it's gonna be good, sign up here to become a Looter just in time for this month's crate.